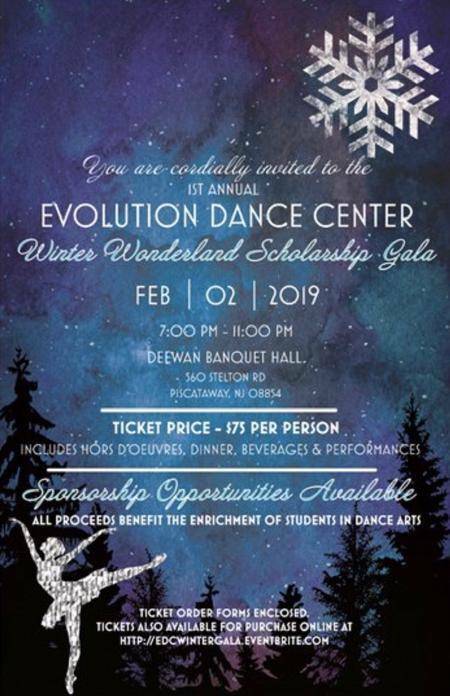 This is a black-tie event to benefit the students of Evolution Dance Center and to raise funds for underprivileged children who can’t afford dance lessons and provide them the opportunity to dance as well as establish a collegiate scholarship fund for dancers pursuing the arts at a college level, furthering their study of dance professionally and academically. Ticket price includes hors d’oeuvres, dinner, beverages and dancing. EDC students will also perform.